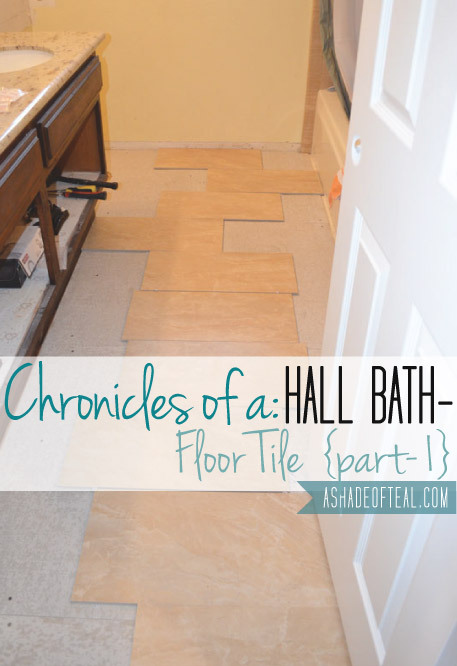 Since this bathroom revolved around leftover tile we had from our last house, our choice was pretty easy! 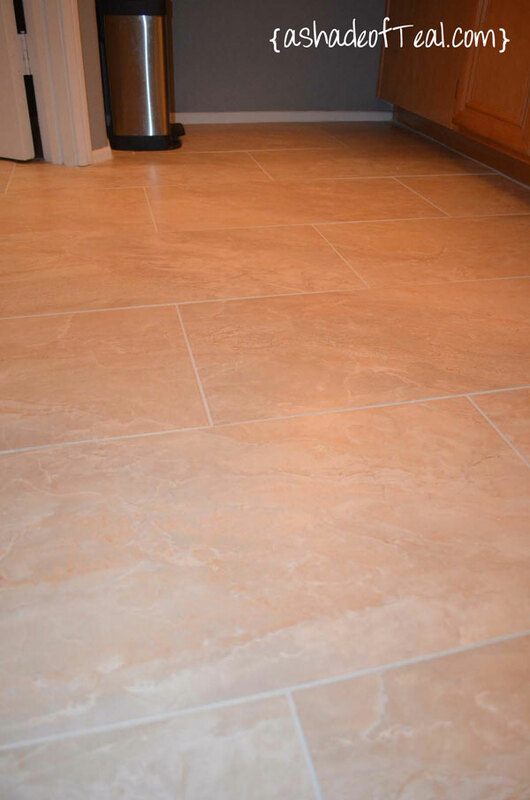 Here is the floor tile again; from Home Depot. Now for the wonderful before picture! 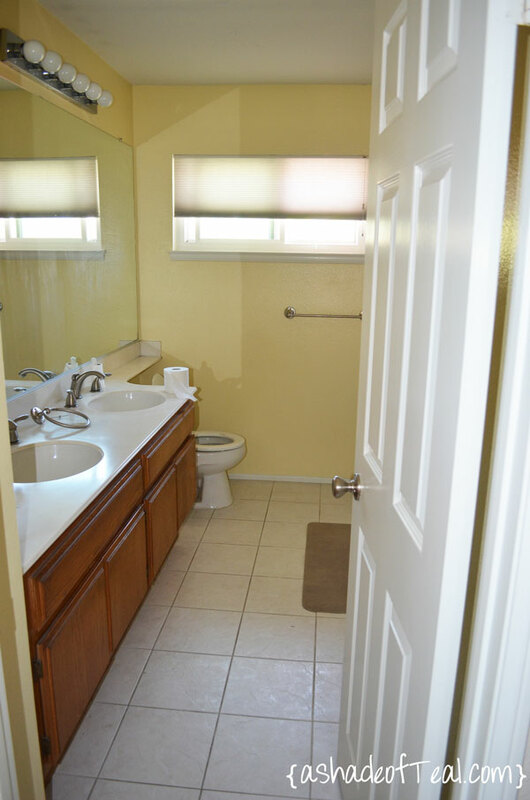 Here’s the current state of the bathroom. 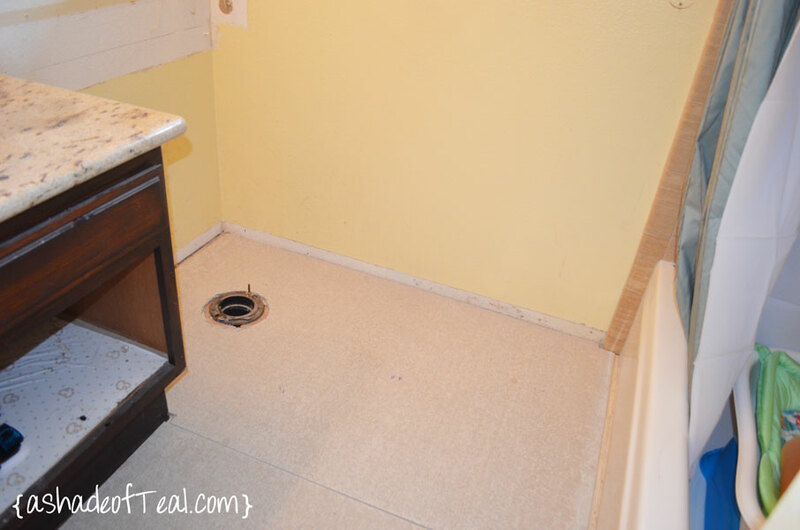 We previously laid down the wonder board and fixed it to the sub-floor. 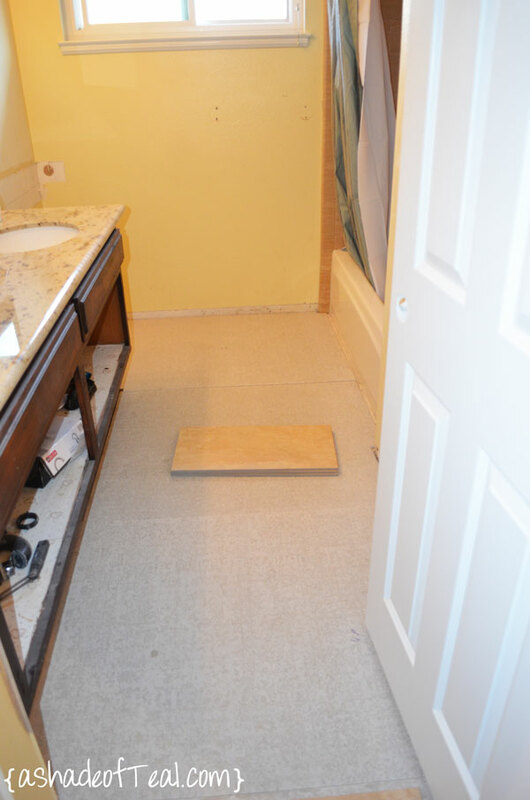 Sorry, no pictures on this process; but I have details on my previous bathroom HERE. Once all the wonder-board was down we applied a thin layer of Thin Set to all the joints/seams. Now to the most important part; the layout. 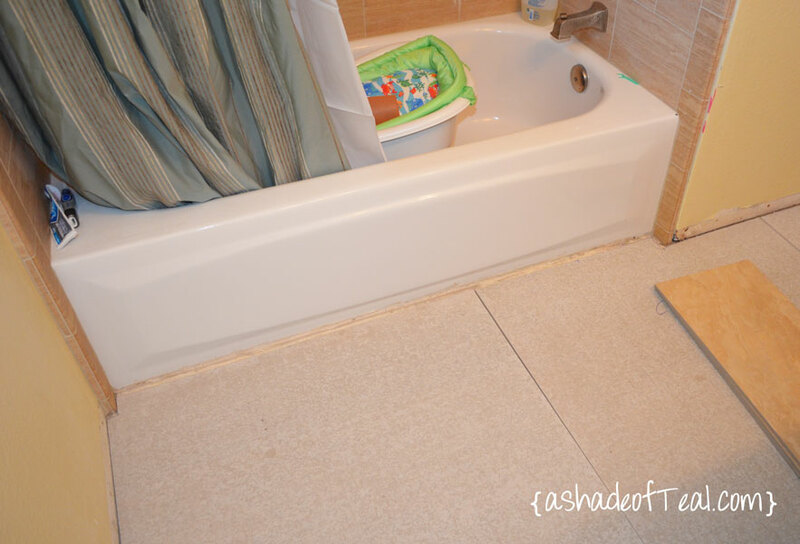 It can take some time, but making sure you layout the tile perfectly helps so much. 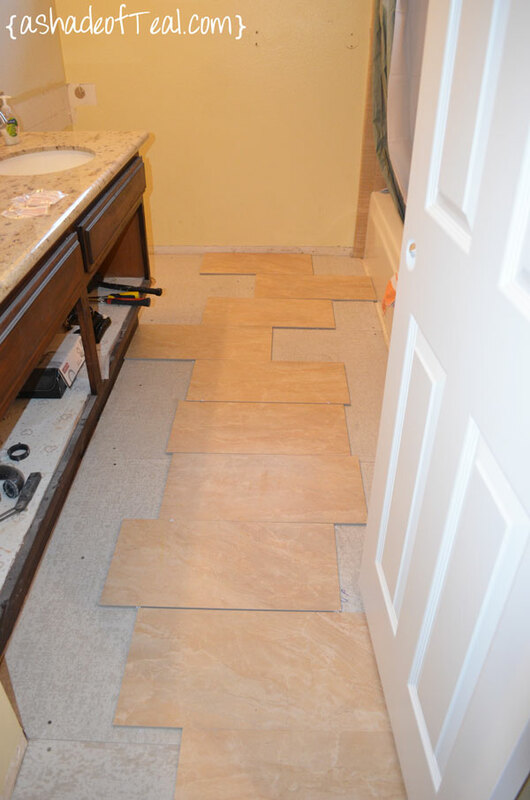 I wanted my starting point to be at the door, this way you’ll have a full piece of tile when you 1st walk in. I figure a “sliver” cut by the wall wouldn’t be as noticeable.